Wayanad – The Land of Paddy Fields’, the name has even more significance especially during the Onam season. After the Karkkidakam , Chingam is the welcome month for all Keralites. Onam being a harvest festival during the month of Chingam(Aug-Sept) is one of the best time to visit the place in all its glory. This is the time when the heavy rain stops and nature acquires a special charm. People of Kerala celebrate this festival as the rice harvest festival and to commemorate the demon king Mahabali’s visit from Pathala Loka. During Onam first thing that comes to our mind is Onam Athapookalam or Carpet of Flowers. Flower carpet will be done in every Malayali’s home from first day called as atham day till Thiruvonam day . With every day the layers of flowers will be increased. Watch Nature’s own Pookkalam unfold from your bedroom window at Lanternstay, the jungle resort in wayanad.Tiny plants that sprout in monsoon come into full bloom during Onam. Nature will be set with green everywhere with colorful flowers bloomed to add the charm of the season. Right from the mountains to the valleys , almost every part of Wayanad is lush with greenery, flowers, grains, spices like cardamon, pepper, cinnamon, turmeric, rice giving an extra fragrance and colors to the air. Many types of butterflies rare species of birds also add to this collage of colors during this season. The second thing is Onam sadya. Onam sadhya is the main meal on the day of Thiruvonam, a feast that malayalis take much pride and delight in. The Onam sadhya is a traditional feast which may have 25 or more side dishes. A few of the main dishes are avial, thoran, olan, kaalan, pachadi, sambhaar, rasam, pullisheri, erisheri, sharkkara upperi and different payasam. Celebrate onam in its traditional way at Lanternstay. 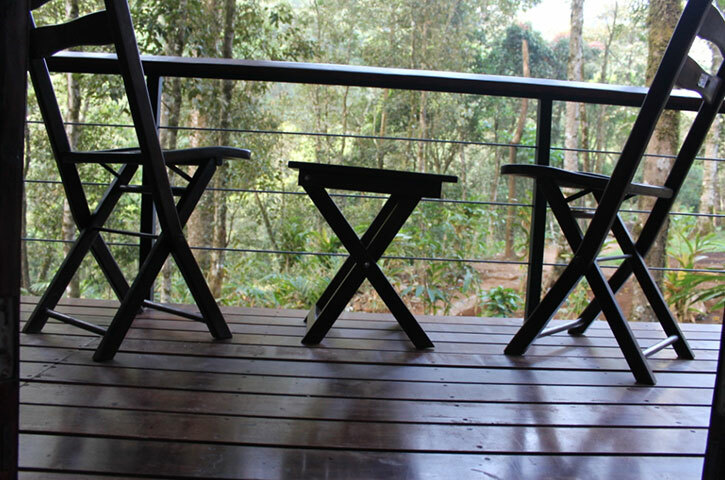 Lanternstay is one of the best resorts in wayanad located in the dense rainforest in Meppadi. Holidays at Lanternstay are worth your money and time, with the many indoor & outdoor activities provided by the resorts, your days during your stay will be filled with exciting things to do. Some of the activities you can look forward to indulging includes, trekking, guided plantation tours, safaris, bird watching, forest walks,explorations, swimming in fresh water streams, etc. You can also indulge in indoor activities like indoor games, relax with a good book or have campfire and barbeque parties with family and friends. Which is the best and affordable resort in Wayanad? A short film on the Lantern Stay resort at Wayanad, Kerala, focusing more on the adventure aspect of the stay and reaching the place. Cut off from worldly filth.. just close to heavenly nature.. with amazing people.. great service and wonderful food. own birds, own waterfalls, own trees and own wild beauty. © 2019 LanternStay. All rights reserved. Designed and maintained by NetVenture Digital Solutions Pvt. Ltd.